In left column, click on the down arrow, right of Other Calendars. Scroll down to Jewish Holidays and click subscribe. To add Jewish dates, in Interesting Calendars, click the More tab and subscribe to Hebrew Calendar. Our shul follows the kabbalistic version of the order in which the simanim are eaten on Rosh Hashanah. It makes more sense halachakli too, why would you eat an apple before a date. The order is taken from Rabbi Yaakov Chaim Sofer's book Kaf Hachaim. First, the brochot are made, haetz on the dates and haodama on the leek. Silka (beets) - Sheyistalku oyveinu umastineinu. Karti (leeks) - Sheyikartu soneinu. Temarim (dates) - Sheyitamu soneinu. Kra (yellow squash) - Sheyikoru roa gzar dineinu, vayikoru lefoneiha zehuyoseinu. Rubiya (black-eyed peas) - Sheyirbu zehuyoseinu. Rimonim (pomegranates) - Shenarbe zehus k'rimon. Rosh Keves (head of sheep) - Shenihye l'rosh v'lo l'zonav. Yellow squash can be eaten raw. You can buy black-eyed peas in Glatt Mart and probably in Pomegranate and Mountain Fruit, look for Eden Foods. Best looking lamb's head is in Avi Glatt. Though this year it looks kinda meh too, not full half of head. Can't make heads or tails of the new FaceBook news feed which now has everything in it and seemingly no filter? For other games, get the ID by going to the game, scrolling all the way down and getting the ID from one of the links at the bottom. 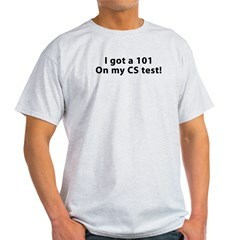 If you're 1 of the 10 people who understand binary, you should know that a 100 on a CS test is nothing to brag about. What you should really aspire for is a 101. Don't be satisfied with a B, you know you could do better! Someone in Raccoon city got inked. To add mafia / friends for Crime City on Google Plus, post your profile link in comments. Crime City Google+ Add Me Forum. Bought $5 tickets for the American Museum of Natural History. Yeah, I know admission is a dollar, the tickets included free admission to one of the specials. We went with kids and friends. Unfortunately, there's no B train, but there are elevators and ramps on 42nd for the transfer from Q to C.
We were supposed to go to the main entrance with our vouchers but the guard let us through and walked us halfway to the Will Call desk where we got tickets for the shows. We bought tickets for the Journey to the Stars at the Hayden Planetarium. Was afraid the kids would freak out at Tornado Alley at IMAX. The staff at the planetarium were also very nice. We came right after the show started and were let in for next show without having to go exchange tickets and the women and kids were let into the line without a ticket while I was in the bathroom. The fun started at the planetarium. They tell you that it doesn't matter where you sit, and yes, it doesn't. You can't see no matter where you sit. The sits are not reclined enough and are not reclinable more, while you have to look straight up. Also, maybe I'm blind, but the movie seemed blurry. Around 25 years ago, on a school trip, 3rd or 4th grade, I was in a planetarium in Moscow. It had an old style projector, no movie, no lasers. The show was interesting and informative. The show was about specific stars and constellation and where they appear. Journey to the Stars, on the other hand, is tailored towards two year olds. A better and more informative zoom out was done at the end of MIB for years ago. Planets inside the solar system are shown with their orbits (vectors) but are too small and shown too fast to recognize and no labels provided. Different types of stars are mentioned but very broadly. One constellation is mentioned and a few stars are named but not shown where they appear in the sky. The movie was not informative or interesting and not even visually stunning. Replacing the whole movie with pictures from the Hubble telescope would be a great improvement. Considering the movie was narrated by Whoopi Goldberg, they could've at least started it on the Enterprise with Guinan. Unfortunately, the whole movie, fail. After the show, we went to eat. Outside food is not allowed in the cafeterias, but there is a School Lunchroom where the Hebrews may eat their food. As we walked in, a mouse ran across the lunchroom. The kids were duly entertained, the wife was not. While we were eating, around 45 minutes, same or several other mice ran by. Well, at least I got to see some live exhibits. I did not find special (pay per show) exhibits being placed in the middle of key connecting areas to be particularly amusing. As it is, the abysmal layout of the pavilions requires too much backtracking, especially if you're unable to use the stairs. As far as the elevators, too few and too small and you have to wait for 10 minutes because of assholes who can't be bothered to use the stairs. The animal sections confuse me. I understand showing extinct animals, but what's the point of dioramas of animals you can go look at at the zoo, which is 10 minutes away. Laziness and instant gratification. I'd rather look at live animals, even when they're not one foot away.